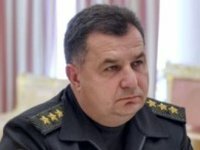 The Ukrainian army losses in the anti-terrorist operation (ATO) zone in Donbas – both casualties and fatalities – have totaled 623 since the start of 2016, Ukrainian Defense Minister Stepan Poltorak said. "The war keeps on claiming the lives of the Ukrainian people's best sons. Our combat losses – both fatalities and casualties have reached 623 Ukrainian servicemen this year. This is the real face of Russian politics as regards the peaceful settlement of the conflict in Donbas," the Ukrainian Defense Ministry press service quoted Poltorak as saying at the NATO headquarters on Wednesday.